Granulomatosis with polyangiitis (GPA), formerly known as Wegener’s granulomatosis, is a rare autoimmune disorder which causes the inflammation of blood vessels in different parts of the body. As with all autoimmune disorders, GPA is characterized by an immune system gone awry. For reasons unknown, the body will mistakenly identify normal tissue in blood vessels as foreign. In order to contain the perceived threat, immune cells will surround the cells and form a hardened nodule known as a granuloma. The formation of granulomas can lead to the development of chronic inflammation in the affected blood vessels (a condition known as vasculitis). Over time, this can structurally weaken the vessels and cause them to burst, usually at the site of the granulomatous growths. It can also cause the blood vessels to harden and narrow, cutting the blood supply to key parts of the body. GPA mainly affects small- to medium-sized blood vessels. While the respiratory tract, lungs, and kidneys are main targets of attacks, GPA can also cause damage to the skin, joints, and nervous system. The heart, brain, and gastrointestinal tract are rarely affected. GPA affects men and women equally, primarily between the ages of 40 and 60. It is considered an uncommon illness with an annual incidence of only around 10 to 20 cases per one million people. The symptoms of GPA vary by the location of the vascular inflammation. 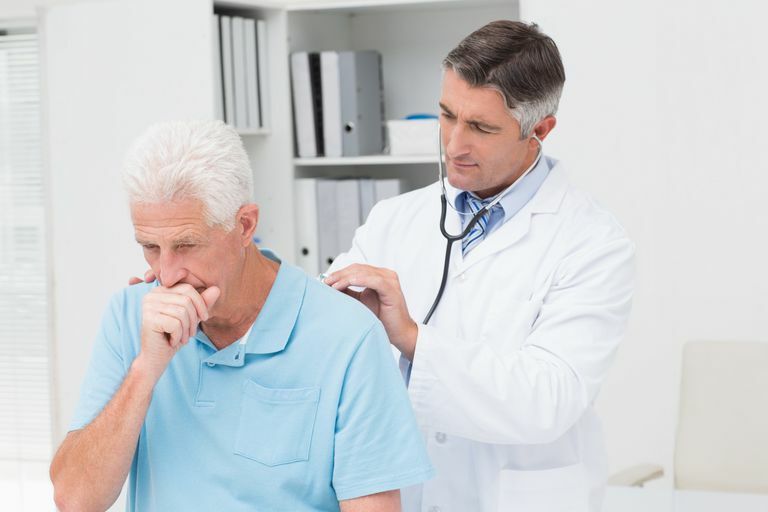 In early-stage disease, the symptoms can often be vague and non-specific such as a runny nose, nasal pain, sneezing, and post-nasal drip. The generalized nature of these symptoms can often make diagnosis difficult. It is not uncommon, for example, for GPA to be misdiagnosed and treated as a respiratory infection. It only when doctors can find no evidence of a viral or bacterial cause that further investigations may be ordered, particularly when there is evidence of vasculitis. As a systemic disease, GPA can cause injury one or several organ systems at once. While the location of symptoms can vary, the underlying cause (vasculitis) can usually point the doctor in the direction of an autoimmune diagnosis if multiple organs are involved. The diagnosis of GPA is typically only made after several, unrelated symptoms go unexplained for a long period of time. While there are blood tests available to identify the specific autoantibodies associated with disease, the presence (or lack) of antibodies is not enough to confirm (or reject) a diagnosis. Instead, diagnoses are made based on the combination of symptoms, lab tests, X-rays, and the results of a physical examination. Other tools may be needed to support a diagnosis, including a biopsy of affected tissue. A lung biopsy is usually the best place to start even if there are no respiratory symptoms. Biopsies of the upper respiratory tract, by contrast, tend to be the least helpful since 50 percent will show no signs of granulomas or tissue damage. Similarly, a chest X-ray or CT scan can often reveal lung abnormalities in persons with otherwise normal lung function. Together, the combination of tests and symptoms may be enough to support a GPA diagnosis. Before the 1970s, granulomatosis with polyangiitis was considered almost universally fatal, most often due to respiratory failure or uremia (a condition involving abnormally high levels of waste products in the blood). In recent years, the combination of high-dose corticosteroid and immune suppressive drugs has proven effective achieving remission in 75 percent of cases. By actively reducing inflammation with corticosteroids and tempering the autoimmune response with immune suppressive drugs like cyclophosphamide, many persons with GPA can live long, healthy lives and remain in remission for 20 years or more. After initial treatment, corticosteroid dosages are usually reduced as the disease is brought under control. In some cases, the drugs may be stopped altogether. Cyclophosphamide, by contrast, is usually prescribed for three to six months and then switched to another, less toxic immunosuppressant. The duration of maintenance therapy can vary but typically lasts for a year or two before any dose changes are considered. Despite high remission rates, up to 50 percent of treated individuals will experience a relapse. Moreover, persons with GPA are at risk of long-term complications, including chronic kidney failure, hearing loss, and deafness. The best way to avoid these is to schedule regular checkups with your doctor as well as routine blood and imaging tests. With the proper management of the disease, 80 percent of successfully treated patients will live for at least eight years. Newer antibody-based therapies and a penicillin-like derivative called CellCept (mycophenolate mofetil) may further improve those results in the coming years. Almouhawis, H.; Leao, J.; Fedele, S. and Porter, S. "Wegener's granulomatosis: a review of clinical features and an update in diagnosis and treatment." Journal Oral Path Medicine. 2013; 42: 507-516. Silva, S.; Specks, U.; Kaira, S. et al. “"Mycophenolate Mofetil for Induction and Maintenance of Remission in Microscopic Polyangiitis with Mild to Moderate Renal Involvement—A Prospective, Open-Label Pilot Trial." Clin J Am Soc Nephrol. 2010; 5(3): 445-453.